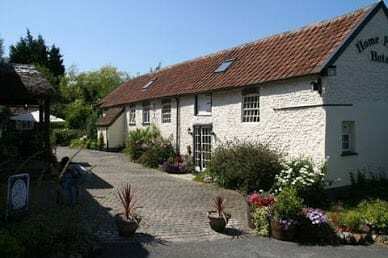 From its elevated setting and highly visible roadside location (on the A35 between Axminster and Honiton) Home Farm is – as its name implies – a warm and intimate hotel that has been created around a 16th Century thatched farm house. The converted old stable block provides an additional letting annex opposite the main hotel in a pretty cobbled courtyard. Importantly, its location and style of mixed tourist, commercial and restaurant trade, provides for an all-year-round income. Home Farm represented a hotel finance challenge to our clients who were new-to-trade and also wanted to purchase the adjoining substantial residential property (which was also owned by the vendors) to provide separate living accommodation. The objective was to secure two routes of hotel finance, one for the businesses the other for the residential property within a matter of weeks as the vendors were in the process of emigrating. Following an initial meeting with the vendors and the purchasers to fully understand the business dynamic, Stewart Hindley & Partners developed an acquisition and debt strategy to provide the purchasers with a solution which was not only fundable, but also tax efficient and one that didn’t entirely depend on the businesses trading profit to service the combined debt. Stewart Hindley & Partners’ delivery ensured a real understanding of their financing requirements and analysed the advantages and disadvantages of the different hotel loan options that would be available to them given their circumstances. Their track record in hotel lending provided un-parallelled access to prime and lenders specialising in new to trade operators in the West Country. This ensured that the new owners of the Home Farm Hotel secured a funding solution that met their immediate and future requirements. Given the complex nature of the transaction, substantive meetings with several lenders were facilitated by Stewart Hindley & Partners. We recommended a lender who could offer flexibility terms including the facility to start on an interest-only basis, with the option to switch to a repayment profile at any time during the term of the loan. A decision in-principle loan offer, subject to valuation, was successfully secured on the above basis. We selected Stewart Hindley & Partners to advise us because they fully understood our requirements and the complex nature of the seasonal trade. They appreciated the loan profile required to purchase both the business and the house on separate mortgages at competitive rates. We were more than pleased with the results as from our perspective it was a hands-off transaction. The Stewart Hindley team kept us fully informed during the entire process and while there were a few heart-stopping moments during the purchase, the debt was finally secured at very competitive rates with the minimal amount of fuss and distraction to our lives.